I highly recomemnd using MapTap to run this map – it’s the easiest way. 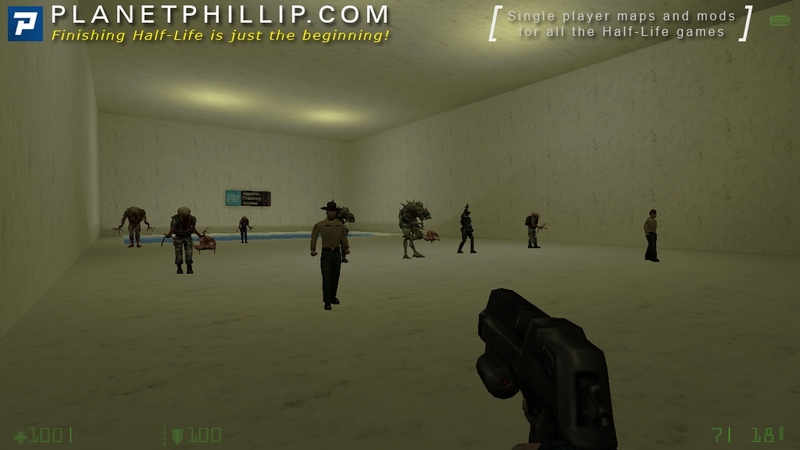 Copy op4_battle.bsp into your \opposing force\gearbox\maps folder. Open the console and type map op4_battle and press enter. Arena New Content Phillip Says Avoid It! No, the screenshot hasn’t been photobombed by a penguin, that’s part of the view when you have one. All in all this is a waste of time and I suggest you avoid it. That said, if you are curious about the penguins they just know what you are opening. I never heard of this map before. I’m glad I didn’t. 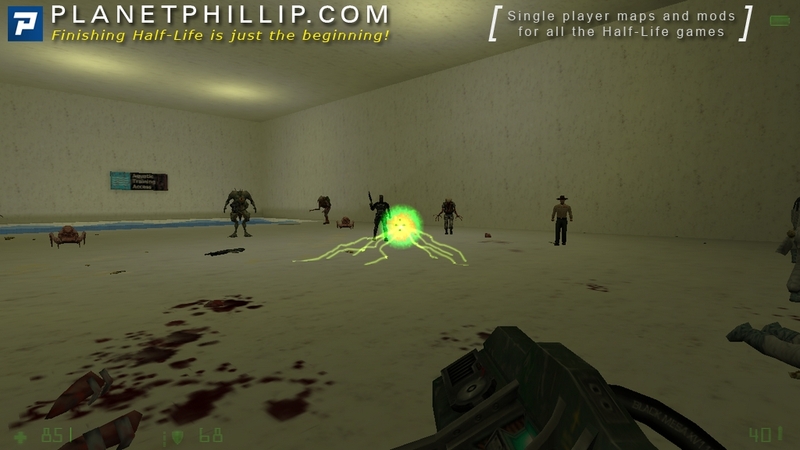 This map was a room full of enemies that wouldn’t even try to fight you. Ok, I admit it, I was curious! 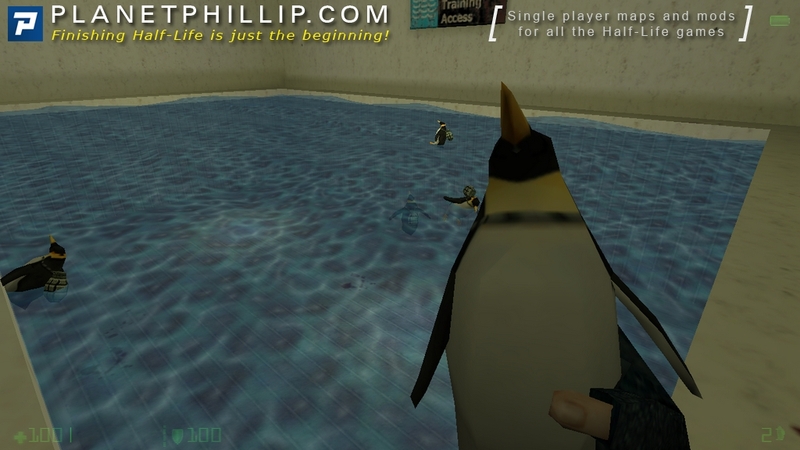 The only thing amusing in this, is if you launch the penguins (re-skinned snarks) after you have killed the contents of the map, is they head for the water. This map is worthless, sorry. It can’t even be called a killbox since all of the enemies are set to ignore you so they don’t even present a challenge and they don’t even run away. I did like the penguins, too bad they didn’t chase the enemies like they did in Op4CTF. like they did in Op4CTF. Hey Unq, I have a question where can I get Op4 Capture the Flag you are reffering to, is the multiplayer mode in OP4?? is alredy merged with the Single Player Game??? Again another test model map, and again another avoid it! 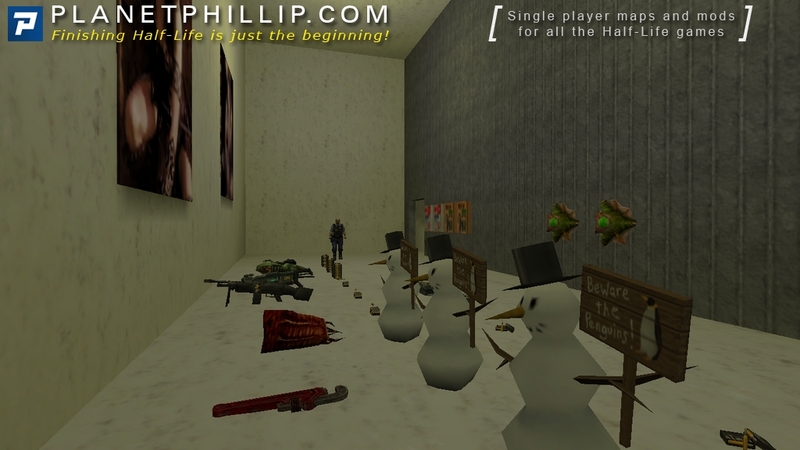 !, the deadly penguins are a bizarre touch in here, maybe they would go nice in some dark humor mod…. I guess the “unknown” author of this useless map is the same author from the Firing Range map. OK so it’s another horrible test map. I only bothered at all because I had never seen the penguins before. AVOID IT!